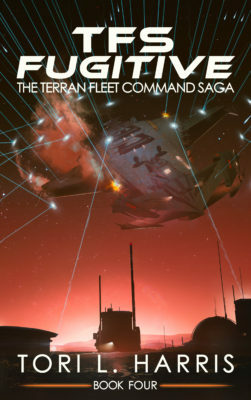 TFS Fugitive – The Terran Fleet Command Saga, Book 4 is now available for Kindle download at Amazon.com. The paperback version should be available within the next couple of days. Head on over to the “Books” page and pick up a copy today! Please note that it will take several days for Amazon KDP to fill in all of the correct details for things like page count, series info, etc. Also, some servers lag a little behind others, so if you are unable to see the Kindle version of the book yet using one of the hyperlinks above, please allow a couple of hours and try again. I always get questions about the length of new books, so here are a few details. Fugitive turned out to be 90,538 words long. That's just shy of the length of TFS Navajo, making it the second longest book in the series. As a point of reference, both Navajo and Fugitive are almost exactly the same length as The Hobbit (95,022). Lastly, the paperback version of TFS Fugitive has 368 pages.